Looking very much like a camera iris diaphragm, the Joseph Joseph Spaghetti Measure doesn’t measure f-stops, but spaghetti servings instead. The kitchen gadget answers the age-old question of how much spaghetti to make by providing a simple guide. 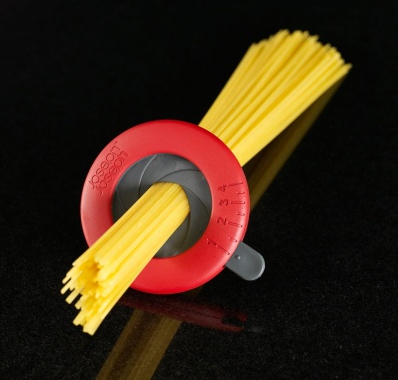 Determine 1-4 servings simply by placing uncooked spaghetti through the aperture and moving the lever accordingly. Finally, another reason to think of cameras and spaghetti in the same thought without involving a baby, a bowl and a whole lotta mess. Oh, what the hay, just one. It’s no secret that lefties are forced to wrestle with a world built for righties. For the lefty, everything from scissors to can openers all the work the ‘wrong’ way. Which is why I can understand why having a measuring cup with measurements all around the vessel would be a good thing. 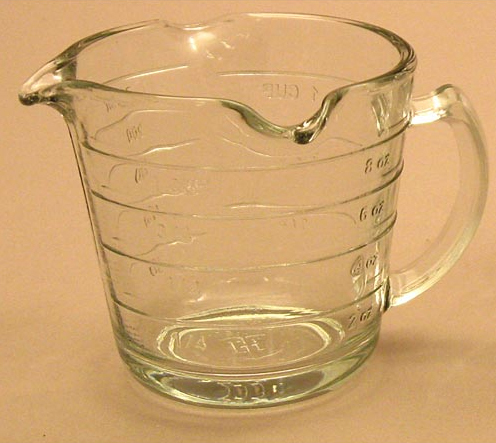 Be that as it may, I’m still not exactly sure why this Triple Pour Glass Measuring Cup needs three spouts. And it’s not even the only one out there. By that logic my ‘normal’ righty version should have two spouts, but it only has one. It probably all has to do something with an eventual lefty uprising, but I hope they bake the rest of us a nice batch of cookies first. 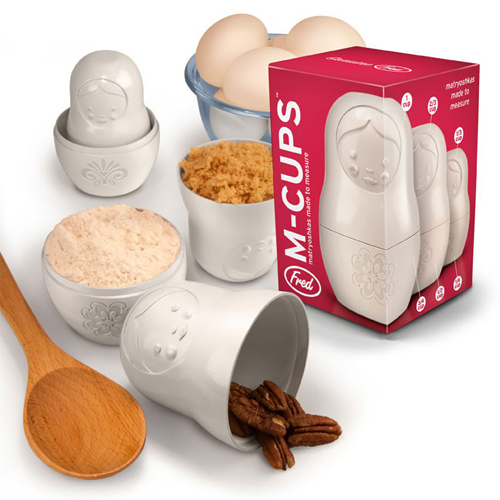 The goal of any good kitchen gadget should be to combine common tasks into one streamlined operation. When measuring out herbs and spices why bother digging out a measuring spoon when you could just integrate one into the jar itself? That’s exactly what is going on with these Airtite Auto-Measure Spice Jars. 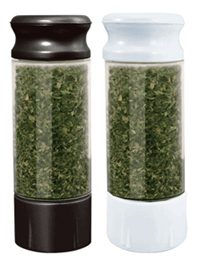 Available in either black or white, the 5-ounce spice jar conveniently dispenses dried herbs and spices one-quarter teaspoon at a time. Included is a shaker top for instances where good ol’ fashioned eyeballing it is good enough—which now doesn’t have to be each time since you won’t have to hunt for those pesky measuring spoons.